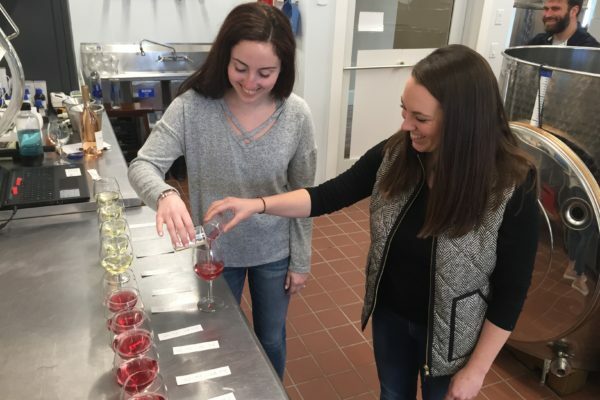 Each Wednesday in May, you can be the vintner of your own special wine blend with this unique, new experience at Seven Birches Winery. 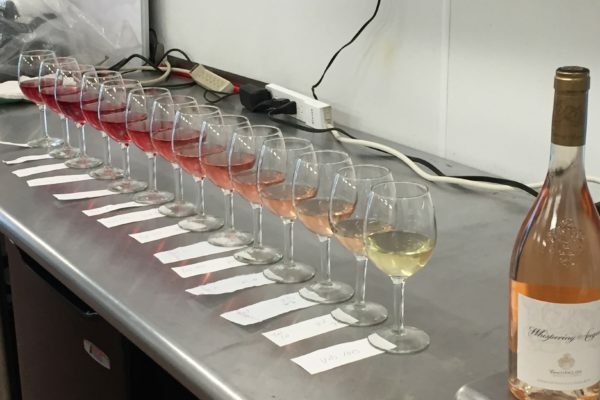 From the wines that we have on our tasting menu, you’ll have the opportunity to measure and blend samples together to create new wines using your own senses. We’ll give you the wines, the tools, and a little guidance in crafting the perfect blend… for you. 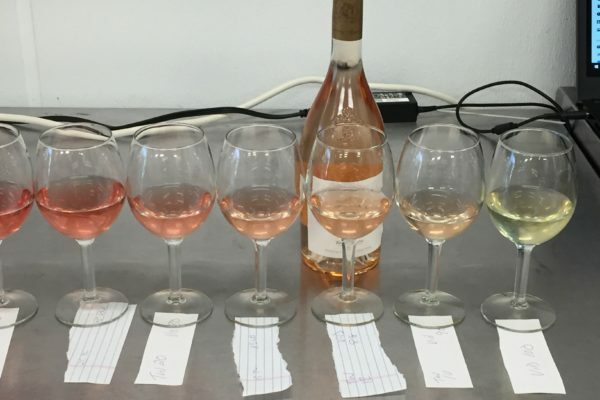 So, when is the last time you created and drank your own wine blend? The whole experience is only $30 per person and includes a bottle of your very own blend to take home. Additional bottles of your blend can be filled for $25 each. Reservations are highly recommended for these Wednesdays in May. As always, feel free to contact us for more information. Happy blending! Some pics from our barrel club members. Although not “required”, we do highly recommend making reservations for these dates. 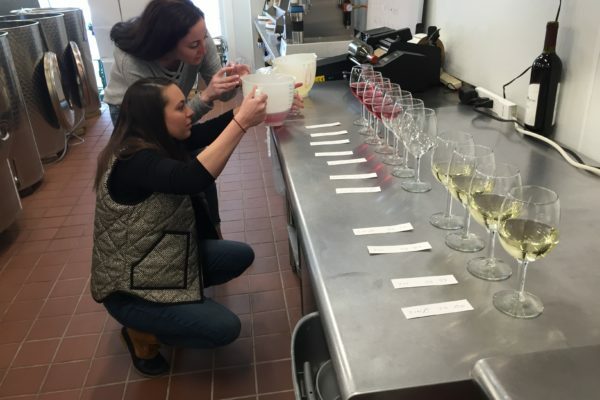 We will host blending experiences on a first-come, first-served basis without reservations. How long does the experience take? 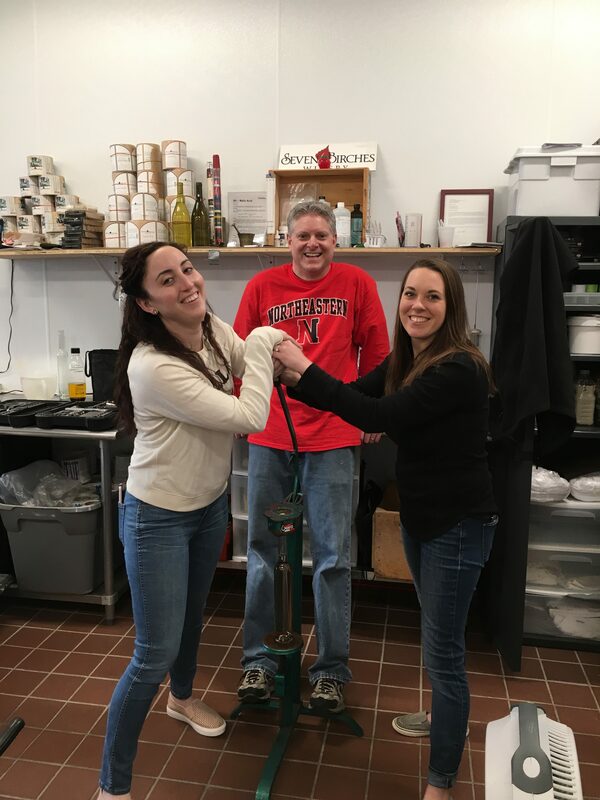 We expect that the blending experience will take around 45 minutes to 1 hour, depending on how intricate your blends, and frankly, how much fun you are having with your friends. Will the bottle we take home get filled while we wait? 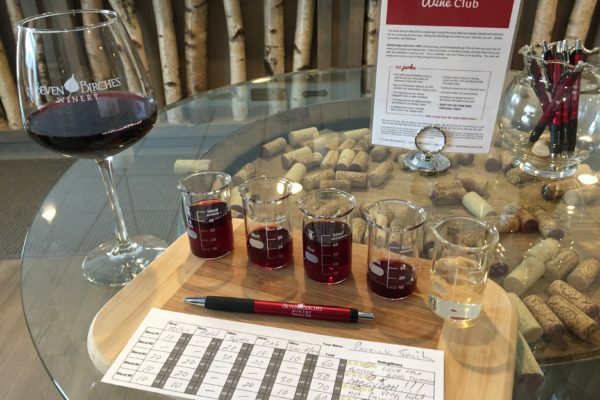 Just as soon as you have completed and rated your own blends, you’ll be handing your blending card to our wine host who will then fill a bottle to the same proportions you have selected. So, the composition of wine in the bottle will be exactly the same proportions as what you blended in your tasting glass. We’ll do that while you are creating your own label. Will we get to customize our own wine labels too? We’ll have everything from markers, pens, and crayons for that matter which you’ll be able to use to make your own label. After all, that’s half the fun. If you would like to bring in your own markers or stickers or crafts, by all means.